Ned had discovered that King Robert’s kids were actually fathered by Jaime, but the new king Joffrey wouldn’t have any of that talk and took Ned’s head. Robert’s brothers Renly and Stannis, as well as Ned’s son Robb, all went to war in a free for all that kicked off the larger arc of the show in Westeros. This was particularly shocking because Ned was positioned as the protagonist of the series before being killed nine episodes in. After her husband Khal Drogo died, Dany burned his body on a funeral pyre — and then walked into the fire herself with three ancient dragon eggs. She survived, because as a true “dragon” of the Targaryen dynasty is immune to heat and fire. And the dragon eggs hatched. Renly was killed by the ghost baby of Stannis and Melisandre. Don’t worry about the specifics. Just know that it happened. 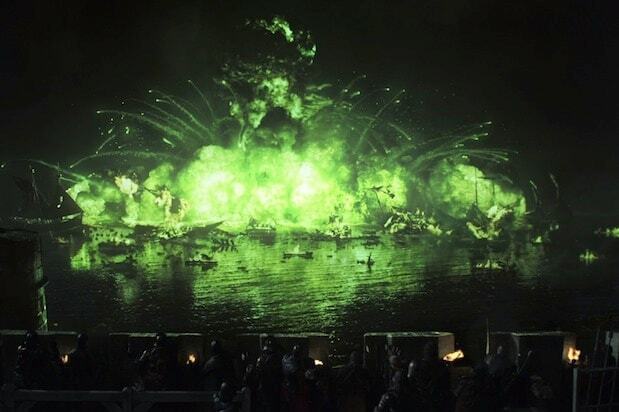 Stannis took a fleet of ships into Blackwater Bay to try to take King’s Landing and the Iron Throne from King Joffrey, but a combination of Tyrion’s superior tactics and the timely intervention of Lannister and Tyrell forces from the Riverlands saved the day. Robb Stark had vowed to Walder Frey to marry one of his daughters in exchange for use of a strategically located bridge, but then broke that vow and married lady Talisa instead. The Starks put forth Robb’s uncle Edmure Tully to wed one ofthe Frey daughters instead, but Walder and Stark supporter Roose Bolton secretly make a pact with the Lannisters. At Edmure’s wedding, the Freys and Boltons murder Robb, his wife Talisa and his mother Catelyn, along with the rest of the Stark forces who were present. Thus ends the Stark threat. King Joffrey weds Margaery Tyrell, but is poisoned at the Purple Wedding feast. It’s hilarious, until Tyrion is arrested for his nephew’s murder. Dany marches into Slaver’s Bay with riches pilfered from the city of Qarth, and arranges to buy a slave army called the Unsullied. But instead of paying, she sacks the city of Astapor with her dragons, freeing the local slaves. She then also takes two other cities, and then settles in the third, Mereen, where she rules. Tyrion didn’t poison Joffrey, but he takes the fall. 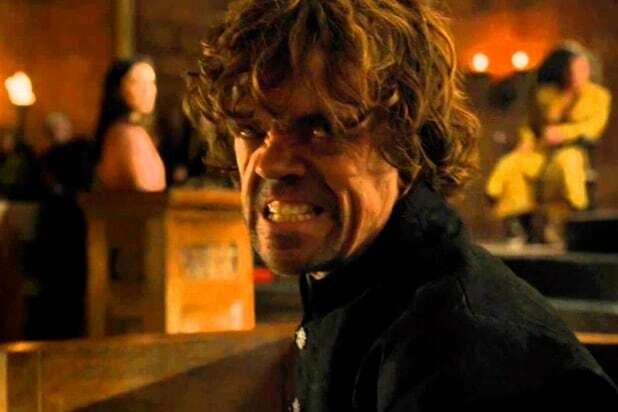 He demands a trial by combat, with the Red Viper Oberyn Martell as his champion — but the Viper is killed fighting a giant man called The Mountain. His brother Jaime and spymaster Varys help him escape execution, and Tyrion then murders his dad Tywin on the way out for good measure. A group of wildlings, including Jon Snow’s lover Ygritte, attempt to take Castle Black at the Wall, but they lose the battle. Ygritte is killed and dies in Jon’s arms. Jon Snow travels north of the Wall to the wildling city Hardhome, to try to save them from death at the hands of the White Walkers and their undead horde. But those supernatural foes show up when Jon is in town, and a ridiculously awesome battle ensues. Not everybody is happy with Dany’s rule in Slaver’s Bay. A secret society called the Sons of the Harpy attempt to take her out during a gladiator battle, but she escapes on the back of one of her dragons. A man known only as the High Sparrow ascends to the top of the food chain in the Faith of the Seven, and with Cersei’s help reinstitutes an old order called the Faith Militant to clean up the dirty streets of the capital. The plan backfires, though, and over the course of Seasons 5 and 6 the High Sparrow has become the most powerful man in King’s Landing. In order to ensure his victory in the north and the survival of his men, Stannis sacrifices his daughter Shireen to the Lord of Light. It doesn’t work, though — much of Stannis’ army goes AWOL the next day, his wife hangs herself, and then Stannis himself and the rest of his army is killed at Winterfell. Oops. Not all of the Night’s Watch is happy with Lord Commander Snow’s decision to ally with wildlings from beyond the wall. A small group of them stab Jon to death. But Melisandre resurrects him, and Jon gets his revenge against the mutineers by hanging them. Also Read: 'Game of Thrones': What Exactly Happened With Hodor and That Time Loop? Hodor held the door to the cave of the Three-Eyed Raven so Meera and Bran could escape the White Walkers’ undead horde, dying in the process and causing a social media frenzy as the origin of his name is revealed. There is time travel and a paradoxical time looped involved, awesomely. Pretty much coming out of nowhere is Euron Greyjoy, the raider brother of Theon and Yara’s father, Baelon Greyjoy, who named himself king of the Iron Isles. Euron tosses Baelon off a bridge in the middle of a storm, and then wins the kingsmoot, an election in which a new king is chosen. He then goes on the warpath again, while trying to eliminate Baelon’s kids so they can’t rival his claim to power. The Greyjoy kids wind up teaming up with Danaerys. Sansa Stark and her half-brother Jon Snow took an army of wildlings to Winterfell to reclaim it from Ramsay Bolton and the rogue House Umber. They succeeded, thanks to the timely intervention of the knights of the Vale, who came at Sansa’s behest. In the finale, Cersei goes full Mad Queen and in one fell swoop, destroys most of her enemies. Cersei had Qyburn use children to light a cache of wildfire beneath the sept, placed there by order of King Aerys years earlier. The huge explosion wiped out most of the Tyrells, including Margaery, Loras and Lord Mace Tyrell, as well as Cersei’s uncle Kevan Lannister, the High Sparrow, and the Faith Militant. As a result, King Tommen committed suicide by throwing himself out a window, leaving Cersei on the Iron Throne. 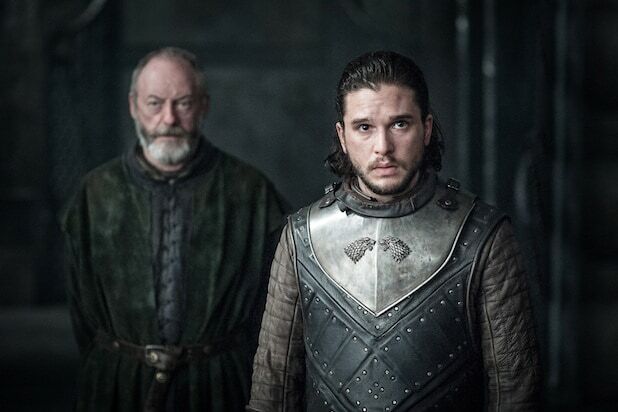 Bran was absent for a season because he was training with the ancient Three-Eyed Raven to hone his “sight” — the ability to see the distant future and the past — for example, when he sees a vision of his father Ned’s fateful visit to the Tower of Joy, where Ned’s sister Lyanna dies after giving birth to Jon Snow, whose true father was Raegar Targaryen. How Bran’s new powers will play into the new war in Westeros is yet unknown. Returning to Westeros, Arya gets her revenge for the Red Wedding by first killing Lord Walder Frey’s sons, then baking them into a pie. She gets Lord Walder to eat the pie before slitting his throat and reveling in it the whole time. With no allies left and enemies on all sides, Cersei entertains the possibility of siding with the psychopathic Euron Greyjoy, king of the Iron Isles. She refuses his marriage proposal, but as a show of faith, he promises her a “priceless gift.” Foreshadowing much? Daenerys sent Ellaria Sand and the Sand Snakes back to Dorne to raise their army, escorted by Yara and the Iron Fleet. Along the way, though, they were intercepted by Euron’s fleet and attacked. Euron killed two of the Sand Snakes, Obara and Nymeria, and captured Ellaria, Yara, and the third Sand Snake, Tyene. Theon Greyjoy managed to escape by (seemingly) selfishly diving overboard. The first meeting between the Mother of Dragons and the King in the North could have gone better, with Daenerys demanding fealty from Jon, who refused. She doesn’t believe him about the Night King, either, which is a major problem. But Dany does allow Jon to mine Dragonstone’s Dragonglass, which will be key in that battle. With Ellaria captured, Cersei uses the same poison that killed her daughter Myrcella to kill Ellaria’s daughter, Tyene. Then Jaime executes a deft strategic move and, while the Unsullied are capturing Casterly Rock, he marches on Highgarden, the seat of House Tyrell. Jaime gets the Tyrell fortress, eliminates Lady Olenna, and nabs the money of the wealthiest family in Westeros. It’s a major blow to Daenerys’ war effort. 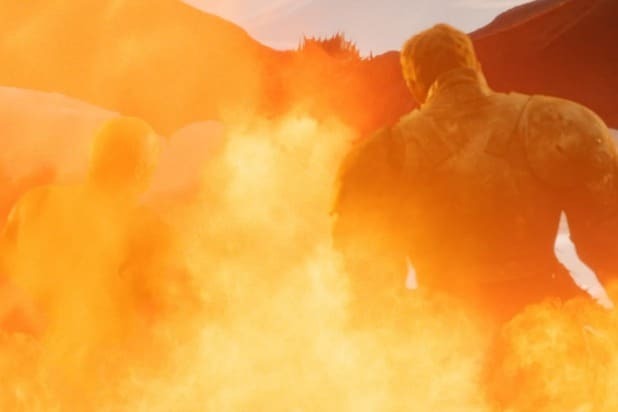 After defeating the Lannister army last episode, Daenerys has the survivors in her mercy — including Randyll and Dickon Tarly (Samwell’s father and brother). They refused to bend the knee and for keeping their honor, were burned to a crisp by Drogon. That leaves House Tarly without a head… unless Samwell ever leaves the Night’s Watch without being executed for desertion. Sam has been training to become a maester, but he’s increasingly frustrated by the order’s unwillingness to consider his own experience with the White Walkers, or prepare in a meaningful way for the war to come. So he goes to the library, steals some important books, and bounces along with Gilly and Sam junior. All of their children may be dead, but Cersei revealed to Jaime that she’s expecting another baby — and as far as he knows, it’s his. In fact Cersei says she plans to tell everyone Jaime is the father. Whether that’s true remains to be seen. As far as Jon is concerned, the only important matter is to convince everyone they need to be freaked out about the Night King’s invasion. Which means, he needs to grab a Wight and bring it south. To help, he recruits Gendry, Tormund, Ser Jorah, Thoros of Myr, Ser Berric, and Sandor Clegane (The Hound). Holy crap. Machinations are afoot in Winterfell, where Littlefinger seems to be trying to get Sansa to turn on Jon Snow, and Arya to turn on Sansa, as part of his own plan. But Sansa clearly doesn’t trust him, Arya seemingly has plans of her own, and Bran’s there with his magical Three-Eyed Raven powers. The intrigue is building to a potentially lethal head. Though they were nearly killed by the army of the dead when they were surrounded, Jon Snow’s expedition beyond the Wall managed to capture a wight to prove the existence of the Night King to everyone in Westeros. 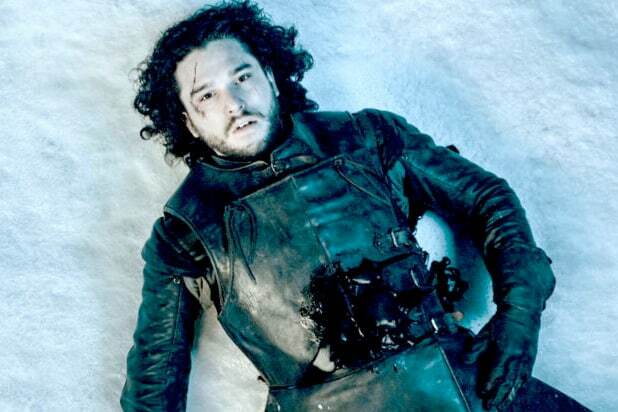 Jon was nearly killed in the battle after falling into a frozen lake, however. 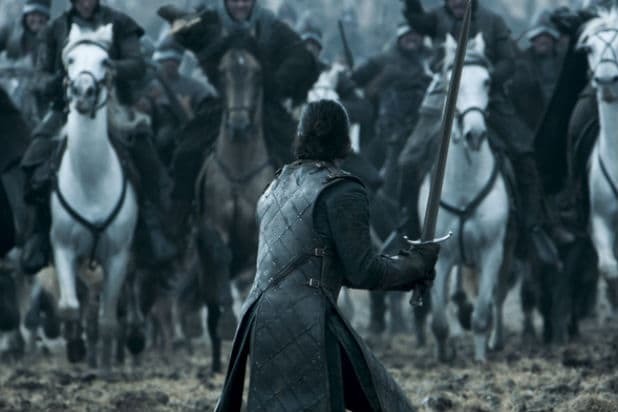 As the army of the dead is closing on Jon after he pulls himself out of the frozen lake, he’s saved from certain doom by Benjen Stark, Jon’s uncle. Benjen was killed by the White Walkers but saved by the Children of the Forest, and had previously saved Bran and Meera Reed at the Three-Eyed Raven’s behest. He gives Jon his horse and save’s the King in the North’s life, but is overwhelmed by wights while Jon escapes. After Jon makes it back to Eastwatch, he and Daenerys have a conversation aboard the ship bearing them to Dragonstone. Having seen the Night King, Daenerys pledges to help Jon fight it. He, in turn, tells her he’ll bend the knee and declare her his queen. 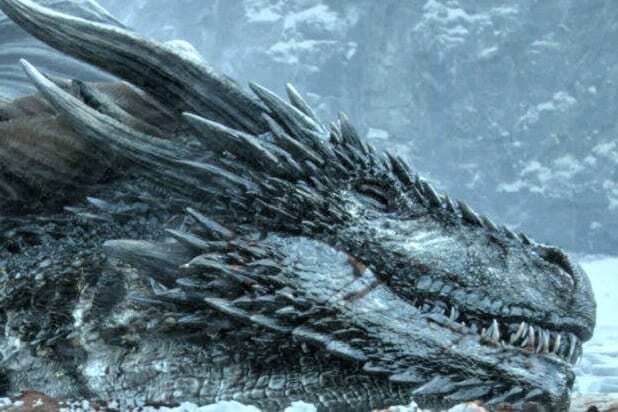 During the battle beyond the Wall, the Night King uses an ice spear to slay one of Daenerys’ dragons, Viserion. 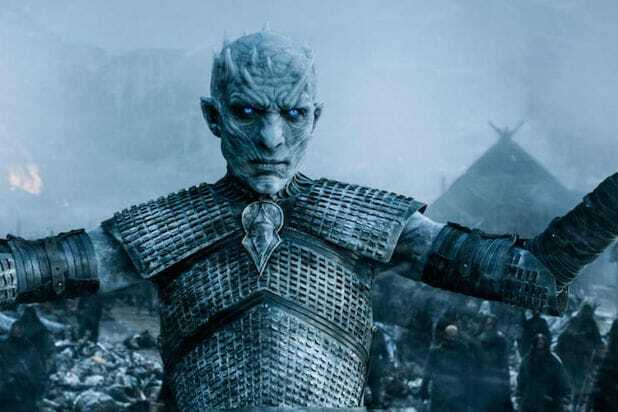 After everyone escapes, he uses his army of the dead to drag Viserion’s body out of the frozen lake into which it crashed, and then revives him as an undead wight to add to his forces. In a meeting in King’s Landing, Jon demonstrates the threat the Night King poses, using the wight captured beyond the Wall. Cersei agrees to send her troops north to help fight the dead, but secretly plans to remain in the south and retake the lands she lost to Daenerys while her enemies go north. Throughout Season 7, Littlefinger has tried to pit Sansa Stark against her sister Arya, but didn’t realize the women were actually manipulating him. Once they had the loyalty of the Knights of the Vale guaranteed, they laid out Littlefinger’s crimes in public, and Arya cut his throat. When Cersei reveals she intends to betray Daenerys, Jaime argues with her. He believes the dead are the greater threat and he intends to honor his word and ride north to fight. When Cersei seemingly threatens to kill him for the betrayal, Jaime storms out, leaving King’s Landing alone. It appears that Jon Snow’s plan to capture a wight from beyond the Wall played right into the plan of the Night King. When Daenerys arrived with her dragons to save Jon and his companions, the Night King killed one and reanimated it as part of his army. Riding the dragon, he was able to use its magical blue flame to rip a hole in the Wall large enough for the army of the dead to pass through.